Each January, we like to pause and reflect on the past year&apos;s accomplishments and to share a roadmap of where we&apos;re headed in the coming year. 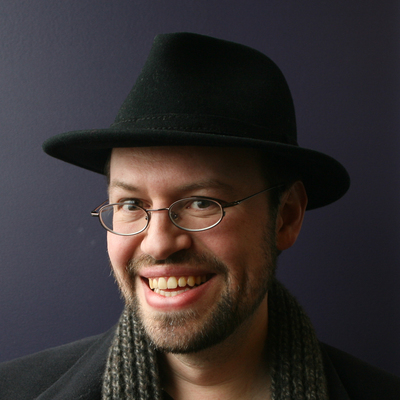 Learn more about this year&apos;s plans for OmniFocus, OmniGraffle, OmniOutliner, and OmniPlan! Whether subscriptions make sense for you is something only you can decide. But we&apos;re pleased that we will soon be able to offer you that choice! 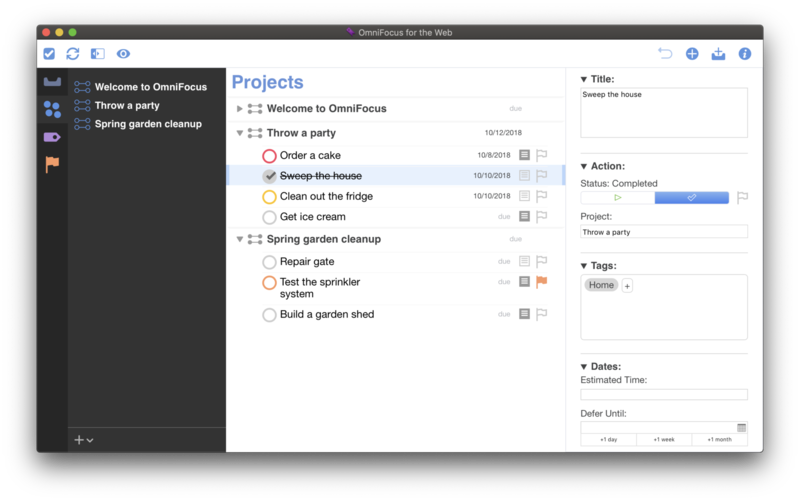 With today&apos;s round, everyone who signed up to help test OmniFocus for the Web should now have an invitation (even if you just signed up earlier today). We’re making it easier for businesses, schools, and other organizations to license and deploy our iOS apps. If you belong to an organization that might be interested in purchasing our apps, please get in touch! Back in January&apos;s roadmap, I shared our plans for 2018. 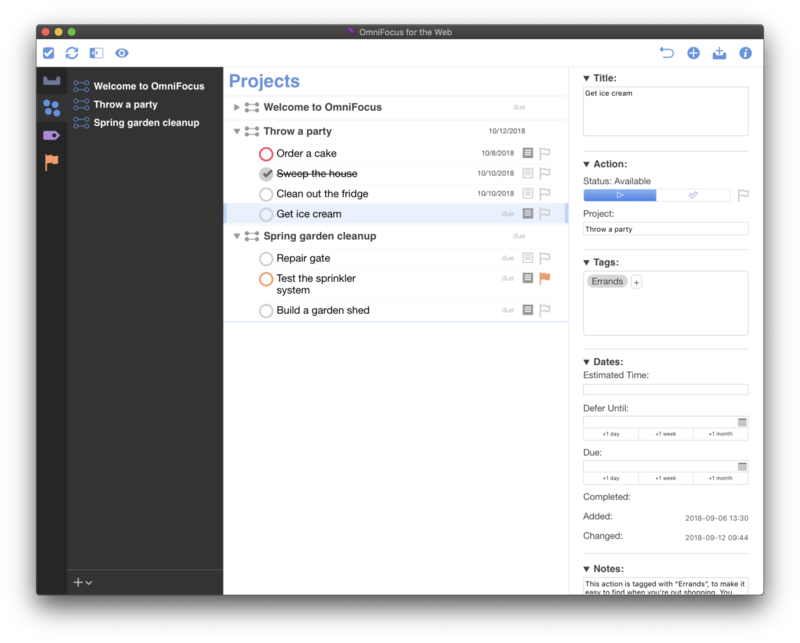 The big news from that roadmap was OmniFocus 3—which shipped for iOS in May, and for Mac in September. 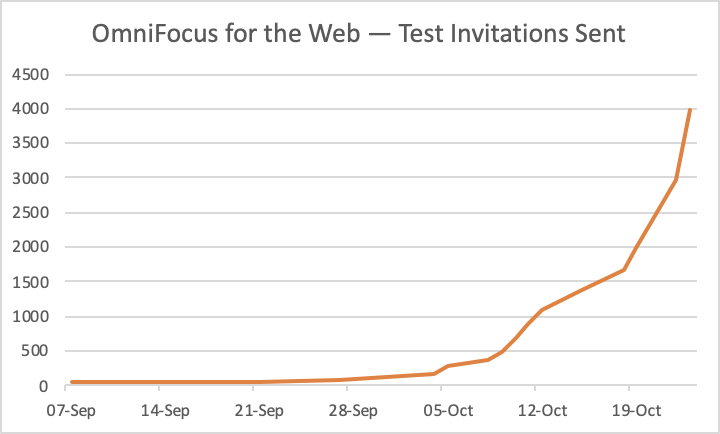 OmniFocus for the Web update: With today&apos;s batch of 1,000 invites, we&apos;ve invited everyone who signed up before 4:32pm on October 1st. I anticipate that folks who sign up today will receive their invitations on Wednesday. 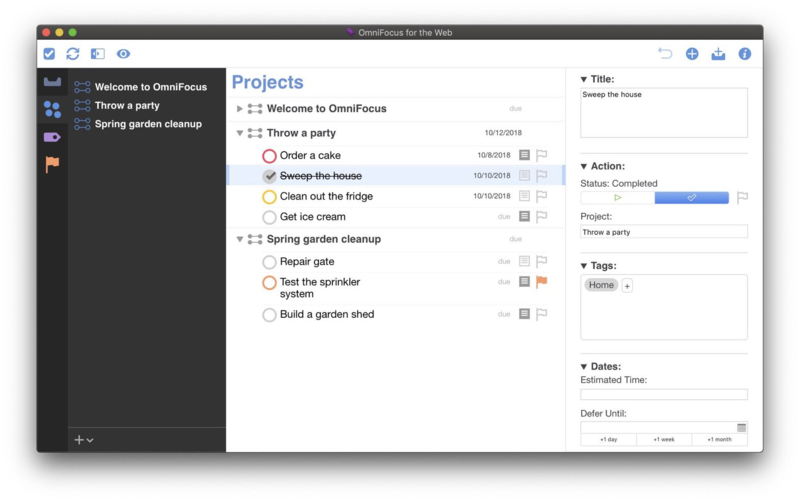 In the past week we&apos;ve scaled up OmniFocus for the Web from dozens of testers to hundreds. 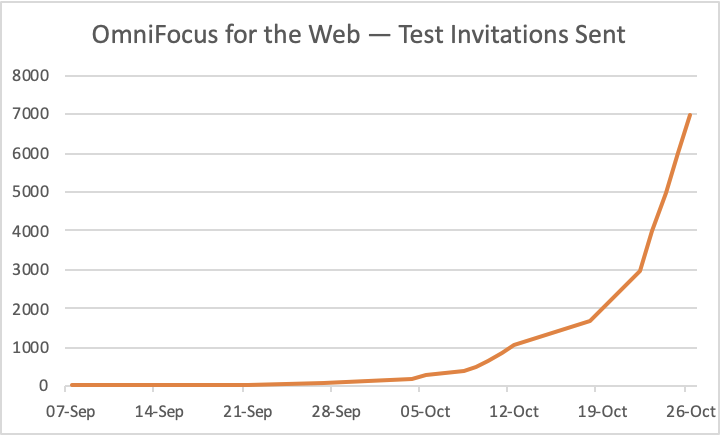 We&apos;re hoping to reach thousands soon—so we&apos;re doubling the rate at which we&apos;re sending test invitations, to 200/day. Today&apos;s batch includes everyone who signed up by 9:19pm on July 31st. 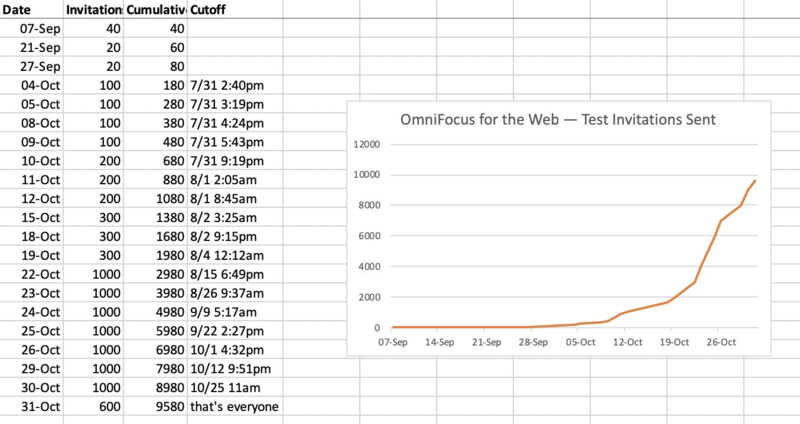 OmniFocus for the Web is holding up well after last week&apos;s two 100-person rounds of test invitations, so we&apos;ve just sent out another 100! This now includes everyone who signed up by 4:24pm on July 31st. With all the new things in September, our engineering and test teams had a crazy busy month! Now that burden has shifted from our engineering and test teams to our sales and support teams—but helping lots of new customers is a good problem to have! 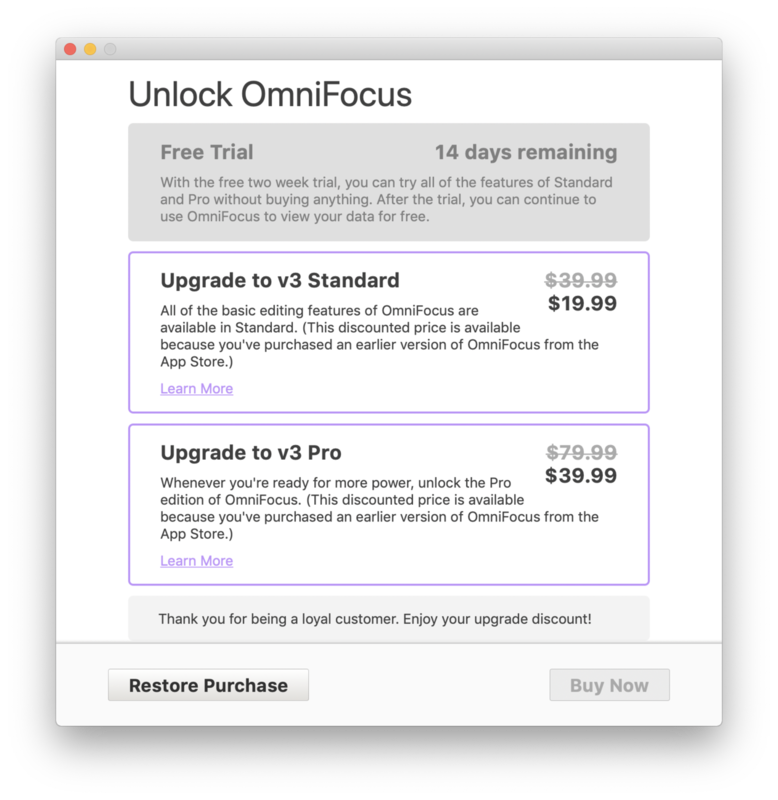 I already shared that OmniFocus 3 for Mac will ship the day Mojave ships. And all those iOS 12 releases next week. 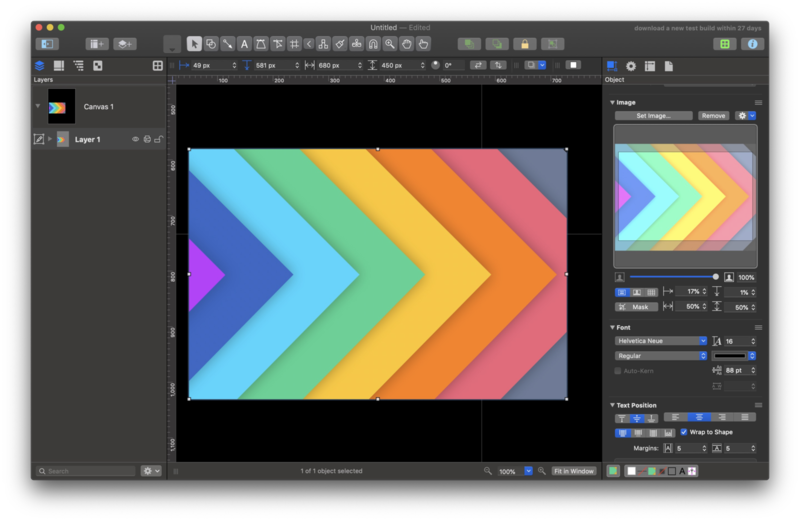 But did I mention that when Mojave ships, we&apos;re also planning to ship Dark Mode support in OmniGraffle and OmniPlan? Speaking of Siri shortcuts, we have yet more iOS 12 updates coming your way when it ships next week! OmniGraffle, OmniOutliner, and OmniPlan will all be getting support for Siri shortcuts to open your favorite documents. 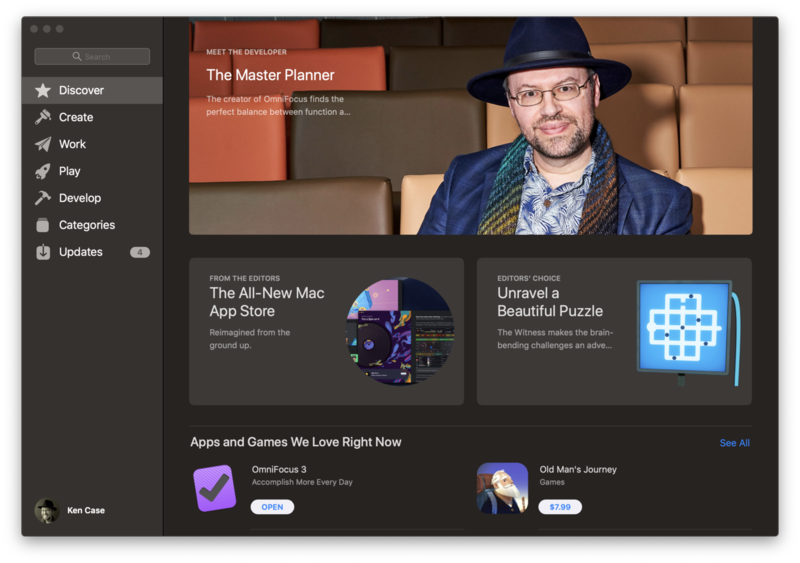 An "A+" to all those who guessed we would ship OmniFocus 3 for Mac on the day Mojave ships! We had another marathon triage session this morning, and I just came from a meeting where we touched base with marketing, sales, and support about all the iOS & Mac releases coming this month.